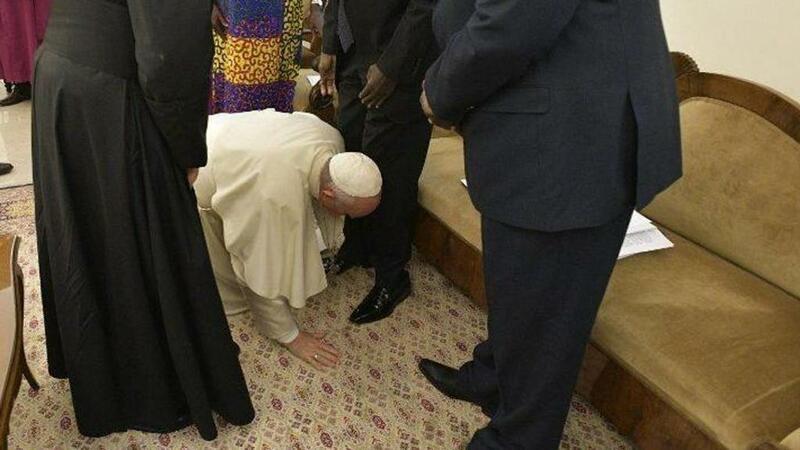 To enhance his message, the pontiff directly implored the leaders present – President Salva Kiir Mayardit, Vice Presidents Riek Machar Teny Dhurgon, Taban Deng Gai and Rebecca Nyandeng De Mabio (widow of South Sudanese leader John Garange) – and knelt before each, kissing their feet. 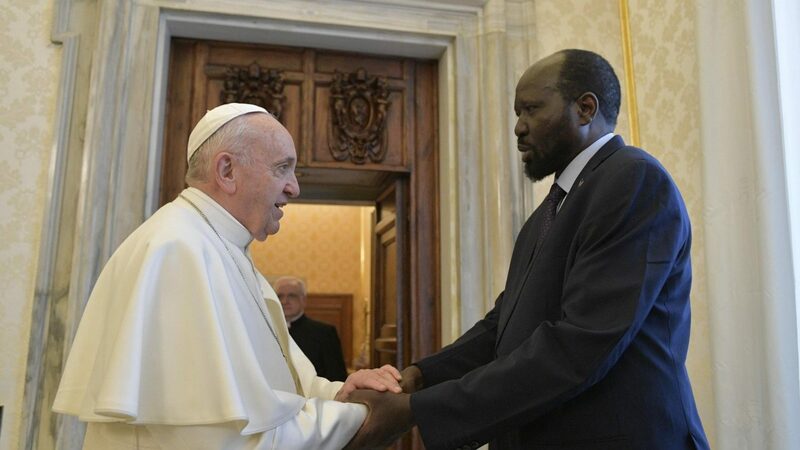 The ecumenical, diplomatic and spiritual character of the gathering stems from the presence of the leaders of South Sudan’s various Christian denominations. After it gained independence in 2011, the country plunged into a civil war that left at least 400,00 dead. The war appears over now after a power-sharing agreement was signed; however, peace remains fragile. Members of the government took part in the retreat, as did representatives of the Council of Churches of South Sudan. Today's meeting was held on the same day that the people of Sudan drove from power dictator Omar al-Bashir, who has ruled the country since 1989. During this time, he led a long war against the south until the latter’s independence. 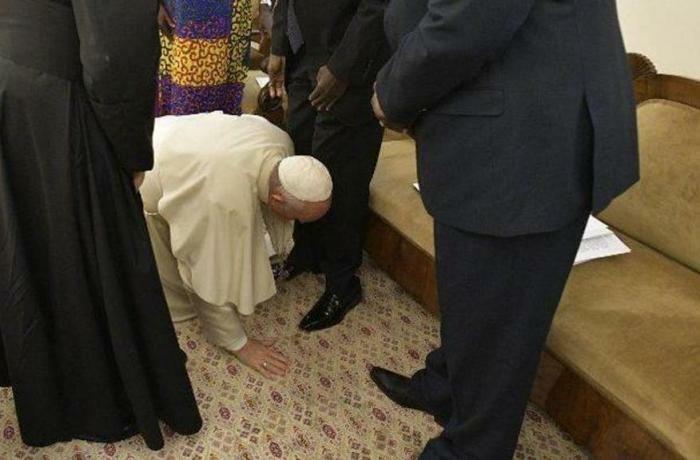 According to one of the preachers at the retreat, Jesuit Agbonkhianmeghe Orobator, over half the population of South Sudan, about 7 million, face extreme hunger, whilst the country’s schools have been abandoned due to communal violence, and 4 million people have fled and are now in refugee camps.